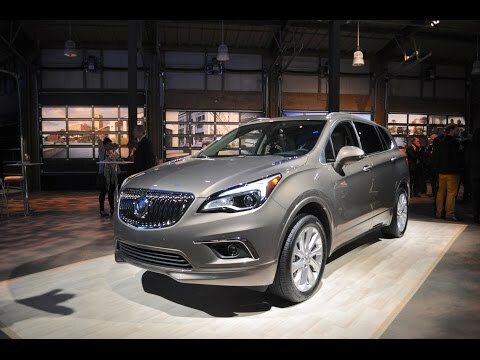 The Buick Envision is expected to go on sale before summer 2016. 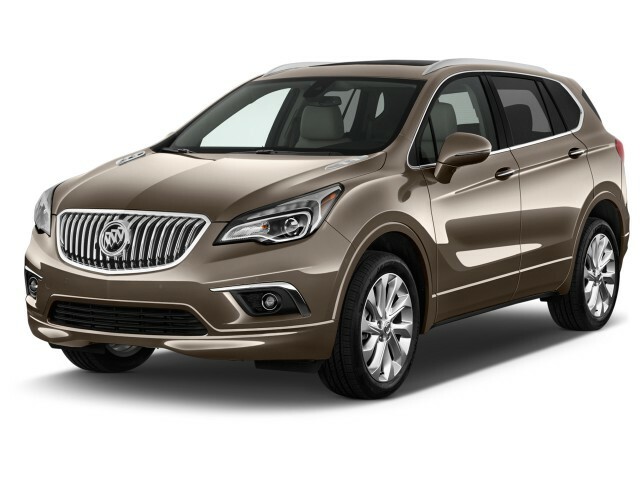 The 2016 Buick Envision marks a first for U.S. car buyers; we'll wait for a first drive to see how close the Chinese-built SUV comes to the best luxury crossovers on the market. When the Buick Envision hits the streets late this spring, it will carry a unique distinction: it will be the first Chinese-built model line to be sold in the United States. That's a step beyond vehicles like the former Chevy Equinox, which at one time offered a Chinese-made V-6, or the new China-assembled Volvo S60 Inscription, which is one long-wheelbase model in the wider S60 lineup. Buick emphasizes that the new Envision was conceived and engineered in Michigan to overcome any political sensitivities regarding the Envision's origins. It also says the Envision will play a key role in fleshing out the Buick crossover-SUV lineup. 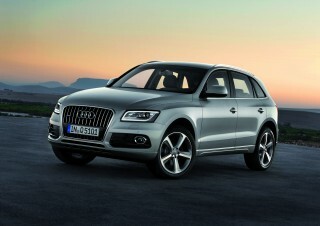 Right now that lineup is limited to the small Encore hatchback and the big three-row Enclave family wagon. 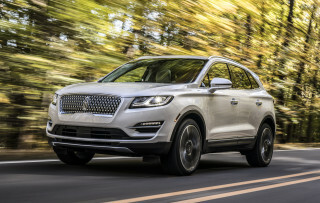 The Envision will slot in a richer niche--the mid-size crossover SUV class, where vehicles like the Audi Q5, Lexus RX, and Lincoln MKC and MKX have become big sellers. Crossovers currently make up 60 percent of Buick sales, so there's a bit riding on this one. The styling of the Envision fits neatly alongside the Encore and Enclave. 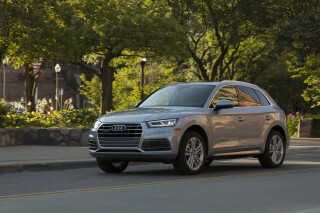 Its petite, vertically ribbed grille is flanked by headlamps and LED daytime running lamps that flow upward into the fenders, without any hint of traditional SUV bluster. The front fenders swell and taper as they blend into the side sills, while a deep shoulder line and rear roof pillar call up some uncanny BMW-like cues. At the rear, LED accent lights are joined by a wide metallic bar studded by another Buick logo. Inside, a dramatic and asymmetric sweep of controls frames off the driver-side door, gauges, and high-set infotainment screen. A set of vents splits off that screen from the console and shift lever, while big swaths of woodgrain trim and ambient lighting dress up the cabin on some versions. For performance, the Envision relies on a single combination of a turbocharged 2.0-liter four-cylinder and a six-speed automatic transmission. The engine puts out 252 horsepower and 260 pound-feet of torque, and offers direct injection and start/stop to improve fuel economy. No fuel economy estimates have been published as of yet, though the Envision has grille shutters and a body made of high-strength steel, both in the quest for better economy. The Envision weighs in at 4,047 pounds, and can be configured to tow up to 1,500 pounds. 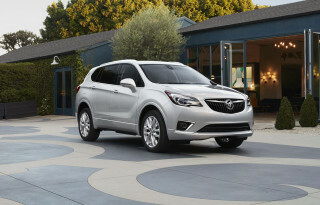 Front-wheel drive is the standard configuration, but the Envision will offer what Buick calls a twin-clutch all-wheel-drive system. That suggests a measure of torque-vectoring control, where power can be split between the front and rear wheels, as well as between the rear wheels, for better control in corners. 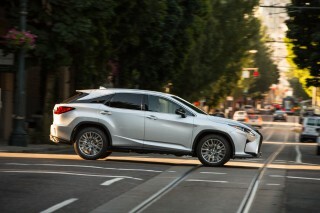 Steering is assisted by an electric motor, and incorporates counter-steer ability to negate crosswinds and road shake. The brakes are discs at all four wheels; tires are 235/50R-19s. The suspension will use front HiPer struts--a more substantial mounting system for the front suspension that can give a more controlled ride--and hydraulic bushings, and a four-link independent rear setup. Five passengers will be afforded good space inside the Envision, though it's a bit smaller in some dimensions than GM's current compact crossover SUVs. By the numbers, the Envision rides on a 107.9-inch wheelbase, and checks in at 183.7 inches long in all. That's down on wheelbase from GM's Chevy Equinox and GMC Terrain (they check in at about 112 inches between the wheels), but is closer in overall length (at about 2.3 inches shorter). The rear seat on the Envision slides on a track, as in the Terrain and Equinox, for more flexibility for passengers and cargo. Total passenger volume of 100.6 cubic feet and overall interior volume of 127 cubic feet measure up against those compacts as well. Cargo space behind the rear seat is 26.9 cubic feet; it's 57.3 cubic feet behind the front seats. The use of high-strength steel and the new body design should also yield a strong crash-test performance, but the NHTSA and the IIHS have yet to weigh in on the Envision's safety. 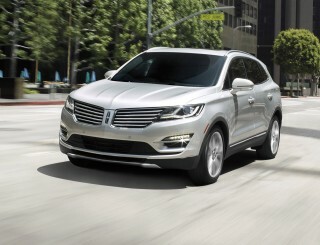 Standard features are expected to include power windows, locks, and mirrors; cruise control; automatic climate control; power front seats; heated seats front and rear, with a heated steering wheel; a Bose audio system; a split/folding and sliding second-row seat; a rearview camera; lane-keeping assist with haptic seat alerts; Buick's IntelliLink infotainment interface with an 8.0-inch touchscreen; active noise cancellation; remote start; and 19-inch wheels. Major options are expected to include remote keyless entry with pushbutton start; surround-view cameras; automatic parking assistance; a hands-free power tailgate; OnStar with 4G LTE connectivity and an in-car wireless hotspot; ventilated front seats; and a panoramic sunroof. The Envision goes on sale before summer of 2016, for a brief 2016 model-year run of a few months. 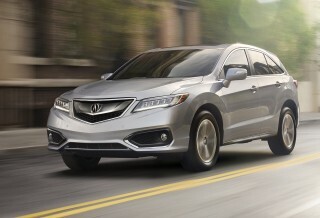 The 2017 model is expected to go on sale by fall. SMOOTH RIDE, INSIDE AND OUT. Looking for a different year of the Buick Envision?